Upgrade any vessel and enjoy monitoring temperature from a safe distance! Gone are the days of opening kettle lids to check wort or mash temperatures! With the new Fermentap Weldless Thermometer, you can now upgrade any existing kettle or keg to read temperature from the outside! 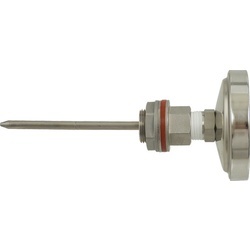 The Fermentap Weldless Thermometer has a 2 inch probe, making it ideal for use in your Hot Liquor Tank or Boil Kettle. The 2 inch stem is much shorter than our 6 inch version, making this product a better suite for vessels with immersion heat exchangers. 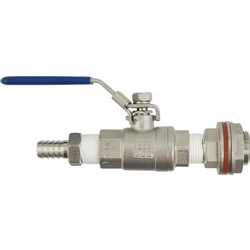 This Weldless Thermometer will work in Kettles & Kegs! The thermometer is our Fermentap Dial Thermometer, and features a hermetically sealed face, all stainless construction, and a fast response to temperature change! Thermometer with 2" Probe and 3" Dial Face. 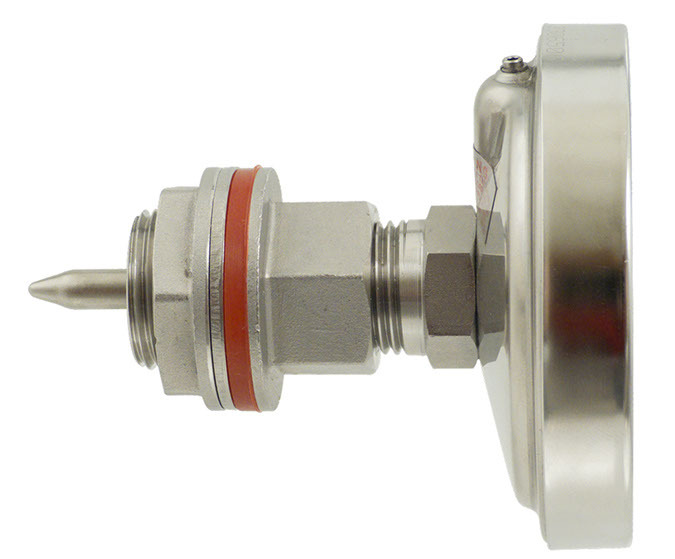 2" probe is short enough to stay out of the way of Immersion Chillers or heat exchangers. Weldless Stainless Thermometer 6 in.